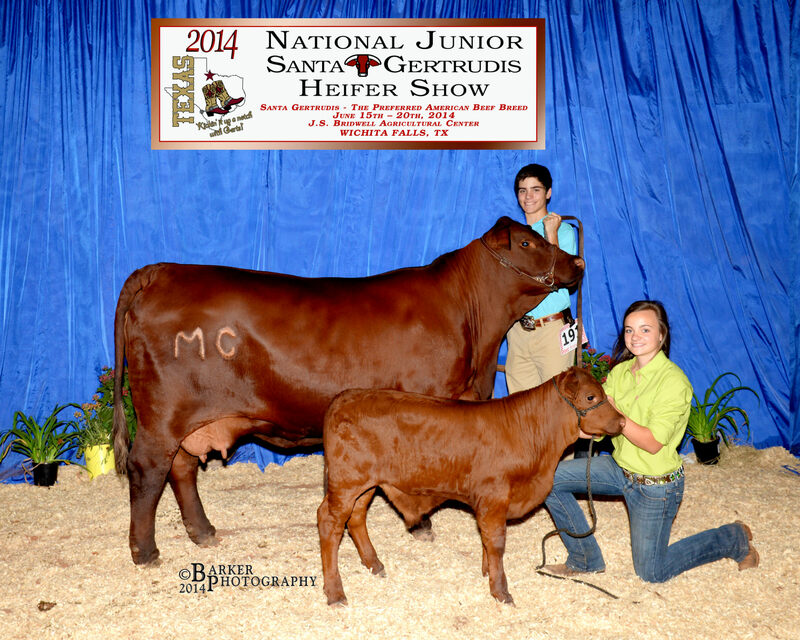 MC Darla (polled) is the first female sired by NG Legend. Beyond her countless show winnings, MC Darla is a moderate and deep bodied female. She has an excellent disposition and is extremely well balance. She is pictured with her second calf, MC Grand Cherokee, whom was born before she was three years old. MC Darla was the high selling female at the NuGen Foundation Sale! 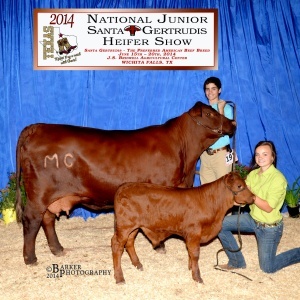 MC Darla‘s offspring have already sold for over $30,000. She is currently in a donor program at Wiley Ranch.